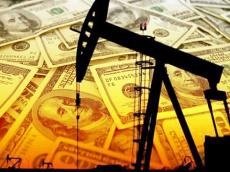 Average price of AZERI LT CIF, extracted at Azerbaijan's Azeri-Chirag-Gunashli block of fields, was $84.27 per barrel on Oct. 8-12 or $2.59 less than the previous week. The highest price of AZERI LT was $86.49 per barrel, while the lowest price was $82 per barrel during the period. Average price of URALS (EX-NOVO) was $80.51 per barrel, which is $2.44 per barrel less than the previous week. The highest price for URALS was $82.64 per barrel and the lowest price was $78.54 per barrel on Oct. 8-12. Average price of Brent Dated was $83.06 per barrel on Oct. 8-12 or $2.45 per barrel less than the previous week. The highest price for Brent was $85.21 per barrel and the lowest price was $80.86 during the period.